To use full function of SpeedyFixer, please use the license to activate it. Login your email account and find the license we sent to you, it is a 32 characters long alphabet and numeric code. please be aware that the license code is not the order id. The license code look like this A28CF77CAA164D3E3D022E8ED5CC3890. 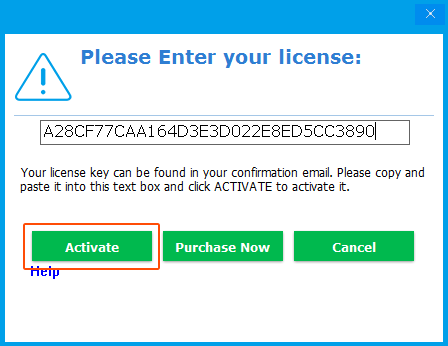 After the 32 characters long license code were pasted on the text field, then click 'Activate' button on the popup window. 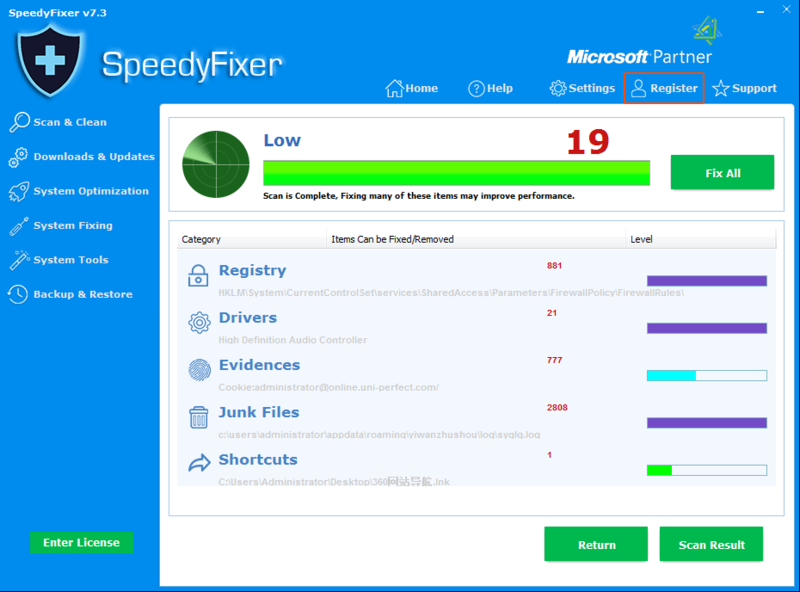 SpeedyFixer should be activated now, enjoy it!